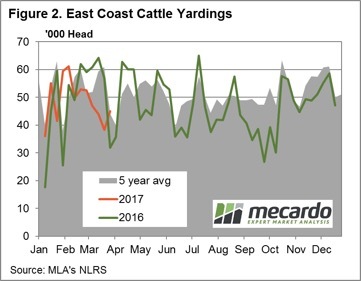 Increased throughput across the Eastern states this week, although the rise in Queensland’s yarding numbers not as strong as the Southern states, with added difficulty in transporting stock and saleyard closures due to the extreme weather having an impact. 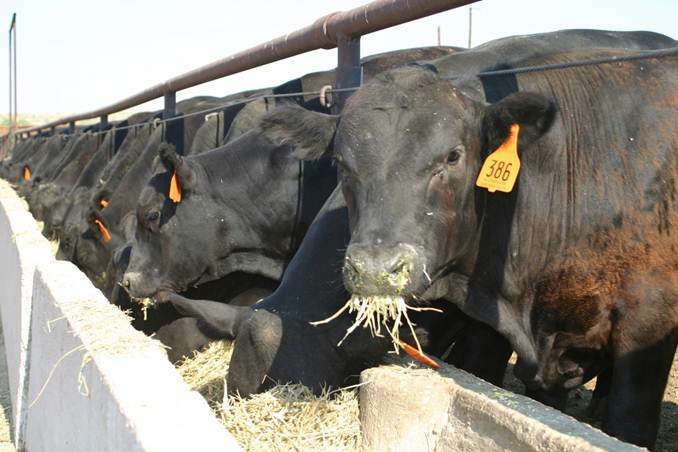 Despite the stronger supply prices generally higher for most categories of cattle apart from heavy steers as widespread rain helps to boost demand. 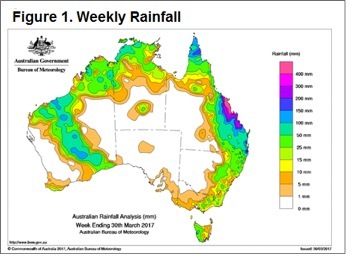 Figure 1 highlights the rainfall pattern across the nation this week with the impact of cyclone Debbie clearly evident. Rainfall further south also present and helping to lift restocker spirits in the southern regions as outlined in the analysis piece released yesterday by Mecardo. East coast yardings up 17.5% on the week to just shy of 45,000 head – figure 2. Queensland throughput at similar levels to the East Coast weekly gains, up 17.2%. Overshadowed by the leap in yardings from NSW though, with a 28% lift in throughput there unable to dampen prices too much. The national cattle indicators mostly higher this week with 2-4% gains recorded for all categories except heavy steers. The national heavy steer indicator dropping 3.4% on the week to close at 294¢/kg lwt. The Eastern Young Cattle Indicator (EYCI) mirroring the broader market up 4.4% on the week to close at 649.75¢/kg cwt. 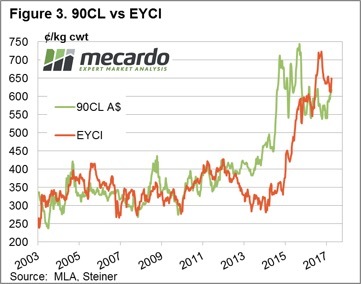 Young cattle prices continuing to find support from restocker buying and the added benefit of higher beef export prices, with the 90CL frozen cow up slightly – figure 3. The prospect of added cattle throughput pre the Easter break now that the inclement weather has begun to settle down could see prices consolidate or slightly soften in the coming few weeks, before trekking higher again post Easter.